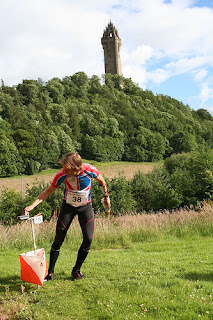 Last week I went to Czech Republic on a pre-WOC 2008 camp with SEDS (mostly young Scottish athletes). We stayed close to the Polish border and trained a lot around Vidnava, a bit north of where WOC will be next year. Loads of photos here. We trained pretty hard, and then at the end of the week, we took part in the Grand Prix Silesia. That was a tough schedule, with 4 races in about 40 hours, with winning times of 15, 40, 30 and 70. I won the 'middle', and came 2nd in the sprint, the 'short' and the classic, and overall I was way ahead. Results here. Event website and splits and stuff here. When I get my scanner working I'll put some maps up - crazy 1:2000 in the sprint and short! Sprint distance: Helen Bridle, Helen Palmer and Pippa Whitehouse. Middle distance: Rachael Elder, Jenny Johnson and Helen Winskill. Reserve places will be filled from within the team. Sprint distance: Jon Duncan, Graham Gristwood and Jamie Stevenson. 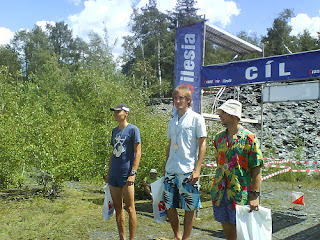 Middle distance: Matt Crane, Scott Fraser and Graham Gristwood. Relay: Jon Duncan, Graham Gristwood and Jamie Stevenson. Mark Nixon and Matt Speake are the non-travelling reserves. I am running Sprint, Middle and Relay, which are the 3 I wanted to run, so the first major goal of WOC 2007 is complete, now for the hard part, actually doing well in those races.